If you're anything like me, you've given up entirely on 2016, which should be replaced in name with "Dumpster Fire '16." It has been a ROUGH YEAR, and while I could write about hopes and dreams for 2017, such as "This is the year I learn to walk in heels" or "This is the year I eliminate the middleman and start eating frosting from the can," I will instead talk about (ugh) 2016, and why the swath of celebrity deaths have knocked the stuffing out of us moreso than most any year in recent history. Spoiler Alert: It's not that famous people are dying at an alarming rate. Nope. Famous people, like all people, die every day. It's that OUR famous people are dying. Check it out. How old are you? Don't worry, you don't have to tell the class. I'll tell you that I am 39. Therefore when people like Prince (Purple Rain!) or David Bowie (Labyrinth!) or George Michael (Faith!) die, definitely before their time, we are transported to the time during which they had a major impact on our lives. This usually falls in the high school years, when our music and pop culture tastes are really taking hold, and therefore when we like an artist, musician, actor or other celebrity, we loooooooove them. We tore pictures out of Tiger Beat. We made mix tapes. We *lived* our celebrity obsessions, and now, to see that they are really mortal after all, it's devastating. Because seriously, who thought Prince or David Bowie were mortal? They were larger than life, and when they pass on, we mourn not as our 2016 selves, but as the teenagers we were when we discovered them. That's why this year has hurt so badly when it comes to those famous folks who are no longer with us. We remember putting "Raspberry Beret" on cassette off the radio. We remember when Bowie magic danced with Muppets (and don't email me with Bowie's entire catalog of non- Muppet related music, I already own it all. I'm talking about first impressions for the late-30 somethings here.) We thought George Michael was dreamy. Those inner children are mourning too, and it makes us as adults feel that loss twofold. That's why 2016 sucked. It reminded us that our heroes are mortal, and that's a heck of a lesson to learn. And it's not going to get easier, either. As we age, so do our heroes. No doubt we thought we had decades left with Bowie, and Prince, and George Michael. Ditto Alan Rickman. Ditto Alan THICKE, for the loveagod. Alan Thicke? America's Goofy TV Dad? He's gone too? Ridiculous. These celebs can't die, that's preposterous! And yet, here we are. Sad, nostalgic, and above all, in great distaste for Dumpster Fire '16. But here's the good news. We have their art. We have the art of all of them. Nothing can take away the music catalogs of Prince, Bowie, and George Michael. 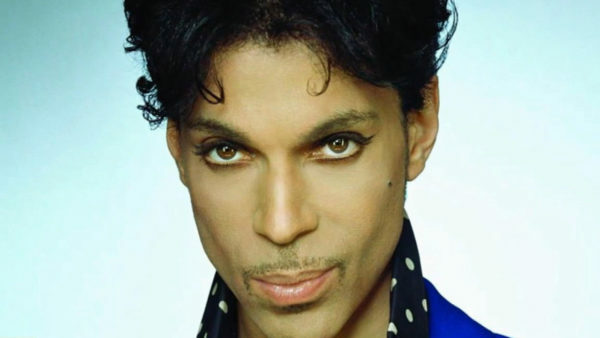 Hell, Prince left behind scores of music that hasn't even been released! Bowie's last album was a creative genius farewell to his fans! We have the music. We have the videos. We have our heroes, and always will. We mourn for what could have been, but that 14 year old who discovered Purple Rain will always have that memory. And we'll have the music. But I'm telling you, Dumpster Fire '16, that little stunt you played with Carrie Fisher wasn't cute. But that's another post for another day.